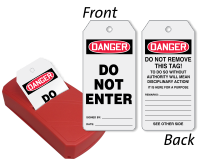 Restrict entry in unsafe areas with these 2-sided general safety tags. Tags can be bought in a dispenser or in a refill pack. 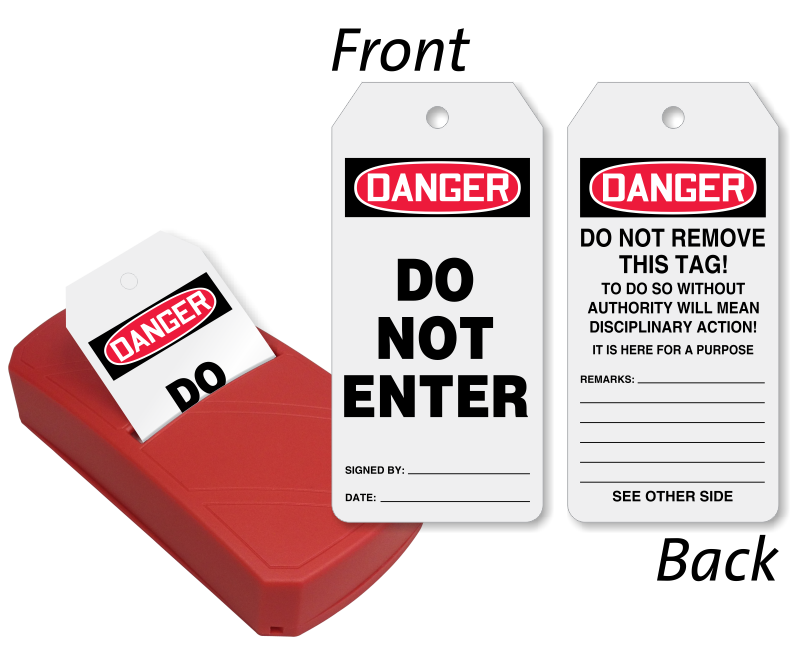 • OSHA Danger Tags are difficult to ignore! Use pen, pencil, marker to write on the tags. • Tags are fan-folded in the plastic dispenser for quick tagging process. • Tear off each tag at perforation and the next available tag stays neat in the dispenser.